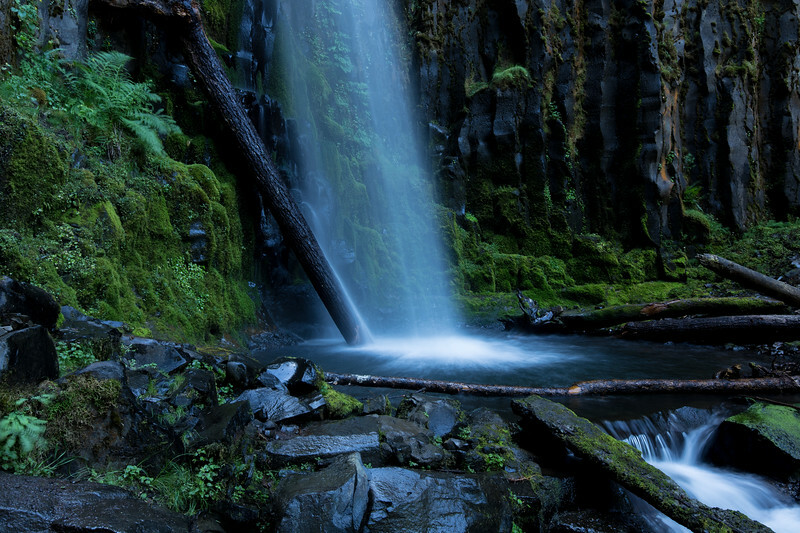 Dry Creek Falls, is located in the Columbia Gorge. This gem is close to our house across the Bridge of the Gods on the Oregon side (this is the bridge where Cheryl Strayed (Reese Witherspoon) ended her hike up in real life (she lives in Portland) and in the movie Wild). The hike is 4.4 miles with 700 foot elevation. 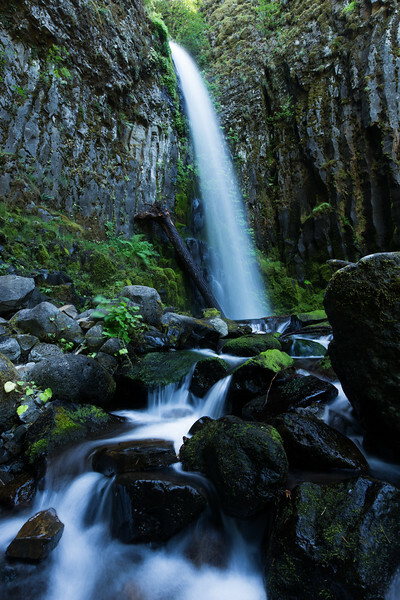 Named after its past use as the water source for Cascade Locks, this waterfall is reachable via a segment of the Pacific Crest Trail. The Crest Trail heads gradually uphill, never too steep, through a pretty, dappled sun kind of forest. In the spring, forest wildflowers including columbines are common here. 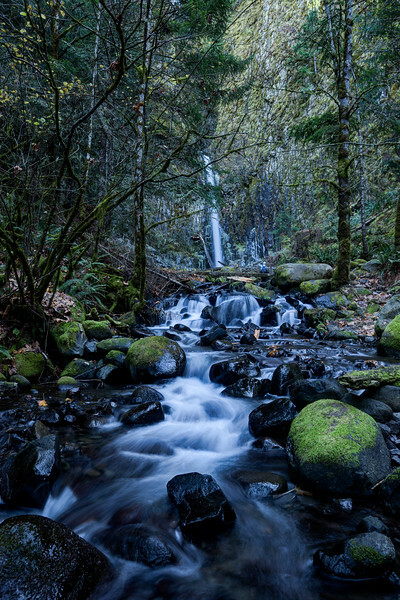 Although it's called Dry Creek Falls, it does not run dry - even in the warmest months of summer, but the creek would “dry-up” in old times because the water was re-routed to become Cascade Locks’ town water supply. 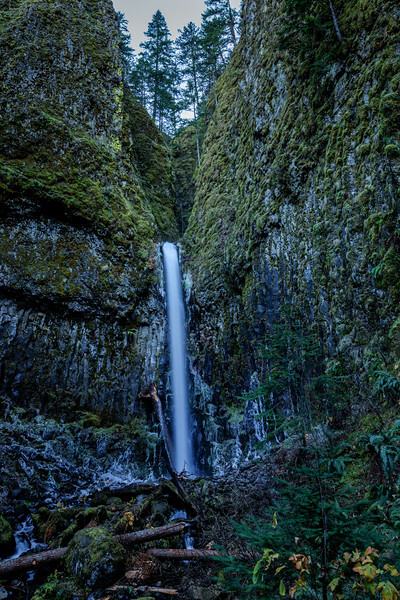 The consensus is one of the top three hikes we have made in the Gorge.